Hearts will not be in a position to exit administration until February at the earliest. A creditors' meeting will go ahead at Tynecastle on Friday, with fans' group Foundation of Hearts offering £2.5m towards debts of around £30m. But parent company UBIG's 50% holding cannot be sold or assigned until they have their creditors' meeting, which is scheduled for late January. Therefore, any agreement reached on Friday would be conditional. Earlier this month, administrator BDO sent out a proposal for a company voluntary arrangement [CVA] to take the Scottish Premiership club out of administration. And the CVA requires the approval of creditors representing 75% of the club's debt. Ukio Bankas and UBIG are owed the vast majority of money and together own about 80% of the club's shares. 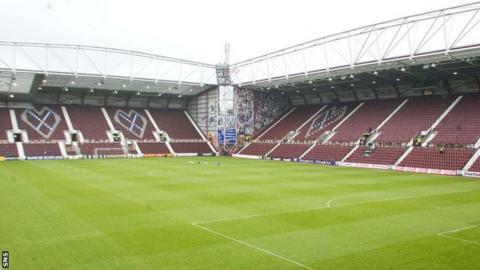 A spokesman for FoH said: "The Foundation of Hearts believes the timescales mentioned are entirely consistent with the process of taking Hearts out of administration. 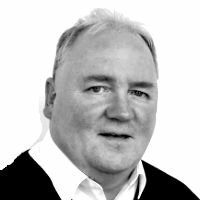 "Any agreement of a CVA is subject to all sorts of terms and conditions on all sides, and that is a time consuming process which cannot start until after the cooling off period (in the event of an approved CVA)." UBIG, which was controlled by former Hearts owner Vladimir Romanov, had its assets frozen in April after declaring insolvency and is now in the hands of liquidators. Hearts entered administration on 19 June and started this season in the Premiership with a 15-point deduction.